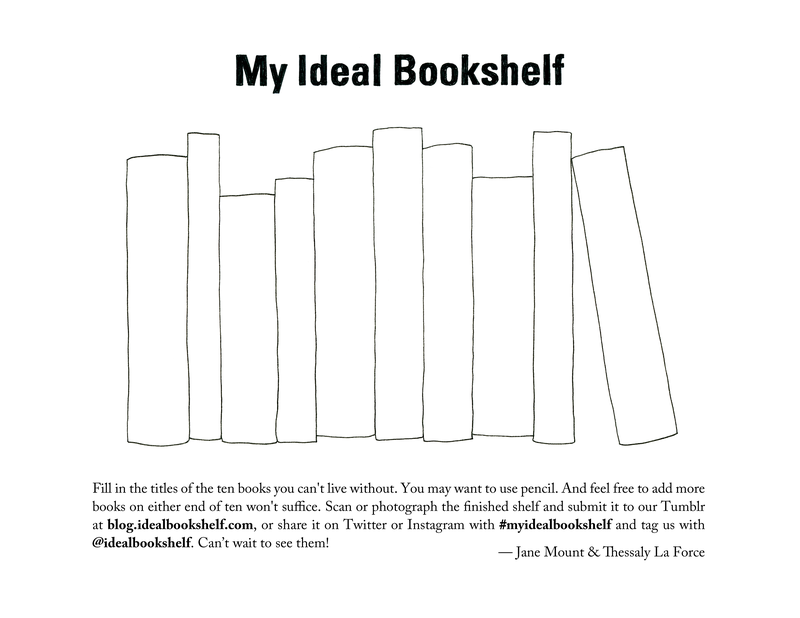 This page is in the back of our book, My Ideal Bookshelf, but we thought we’d also post it here for everyone to use! Click here to get a letter-size version you can print out. Fill in the titles of the ten books you can’t live without. You may want to use pencil. 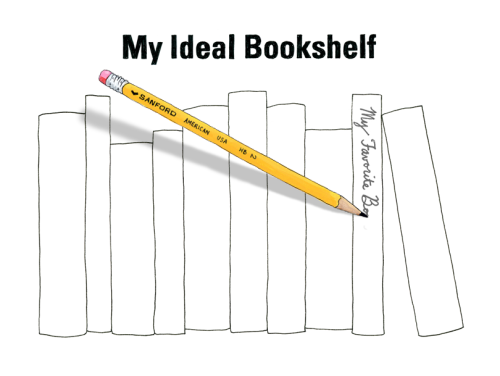 And feel free to add more books on either end if ten won’t suffice. Scan or photograph the finished shelf and submit it here to be featured on our Tumblr, and/or share it on Twitter or Instagram with #myidealbookshelf and tag us with @idealbookshelf. You can also just take a photo of the spines of your faves, or even just write up a list. Can’t wait to see them!